Documents recently aired in an ongoing investigation into the FBI's handling of the Hillary Clinton probe show texts between two agency officials discussing 2016's encryption debate, offering a revealing look at government sentiment at the time. Made public by the Senate Committee on Homeland Security and Governmental Affairs, private texts between FBI counterintelligence agent Peter Strzok and bureau lawyer Lisa Page touch on a range of hot-button topics. Among them is Apple's refusal to comply with a court order requesting the company unlock an iPhone related to the San Bernardino terror attacks, a move that triggered intense debate in government and tech industry circles. Spotted by Business Insider, the exchange is obviously not representative of all FBI agents or their associates, but its contents sheds light on the opinions of insiders close to the incendiary issue. Such access is a rarity, especially from closed government sources. As a refresher, the FBI in 2016 sought and acquired a federal court order that required Apple to assist in extracting data from an iPhone 5c used by San Bernardino gunman Syed Rizwan Farook. Apple declined, vowing to fight the demand on the basis that unlocking, creating a backdoor into, or otherwise tampering with one iPhone's security protocols would put all users at risk. 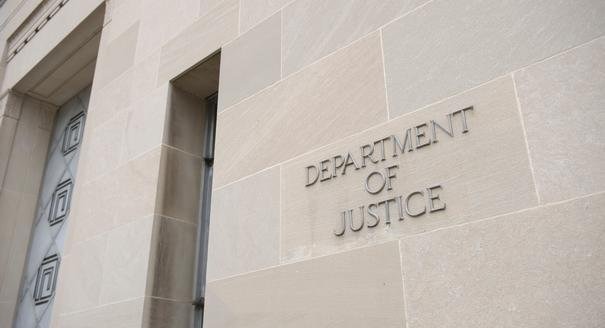 The Department of Justice later stepped in with a motion to force Apple's hand. Just as the case was set to enter hearings, the FBI found an outside contractor capable of cracking the iPhone 5c's defenses. The DOJ consequently dropped its side of the case, ending proceedings before a precedent-setting judgment could be delivered. The recently unearthed texts were sent at around the time Apple declined to cooperate with FBI officials. It should be noted that neither Strzok nor Page worked on the Apple case, though Page was informed by an unknown party as to who the FBI contracted to unlock the terrorist's iPhone. "And what makes me really angry about that Apple thing? The fact that Tim Cook plays such the privacy advocate," Strzok told Page in a text dated Feb. 9, 2016. "Yeah, jerky, your entire OS is designed to track me without me even knowing it." "I know. Hypocrite," Page replied. Shortly after word of the FBI request came out, Cook wrote an open letter to customers that was posted to the company's website. Strzok was none too pleased with the move. "Oh god. And [REDACTED] is trying to explain/defend apple's position. Based entirely on the misinformation Apple and privacy groups are spewing," Strzok wrote. Along with Apple, the pair criticize politicians, newspapers, spies and other entities, the reports says. In related banter, Page reveals she persuaded an associate named Brian to "tell me the whole story of the Apple thing," referring to how the FBI accessed Farook's iPhone. Though the section of text is redacted, a response from Strzok seems to imply he, too, knows the identity of the third party. "Hey, I was just following directions to keep it quiet," Strzok wrote. "Everyone and their mother wants to know how we did it and who the third party is. Hope he didn't tell you for former as that is likely classified by now..."
The entire string is worth a look, even if it only conveys the thoughts of two officials.